This powder arsenal was among the final buildings put up on the Dearborn campus. It was isolated from other structures so as to minimize damage in the case of a catastrophic explosion. During the Civil War, the Dearborn Arsenal supplied weapons to the troops training or entering the military at the very much large Fort Wayne in Detroit. The military ceased using the Dearborn Arsenal in 1875. Nathaniel Ross was a prosperous dairy farmer in the Dearborn area in the post-Civil War era. He married Elizabeth McFadden whose family also had extensive property holdings in this area. Apparently they continued to purchase land here, and in 1883, the bought the powder magazine from the federal government. They remodeled the building extensively so that it might serve as their residence. Members of the McFadden-Ross family lived here until 1950 when it was the last surviving farm homestead in Dearborn. Mary Elizabeth Ross, the daughter of Elizabeth McFadden and Nathaniel Ross, willed the home to be used as a museum honoring her mother. 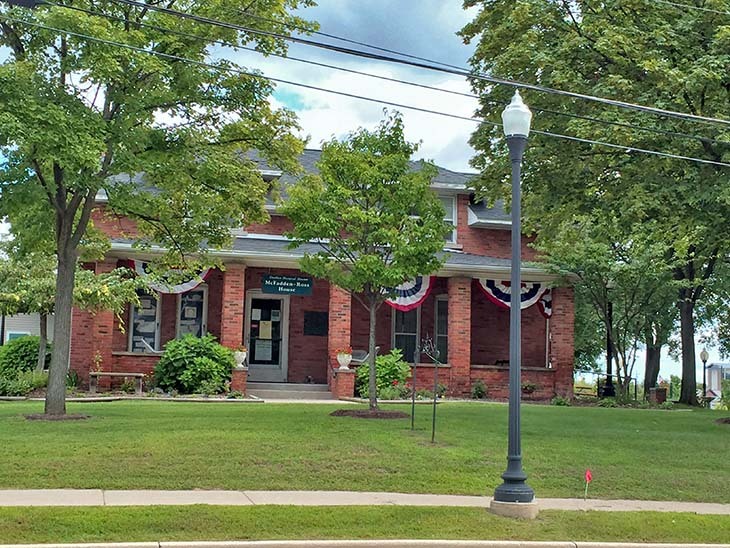 The Dearborn Historical Society was formed and, in 1956, took possession of the property.